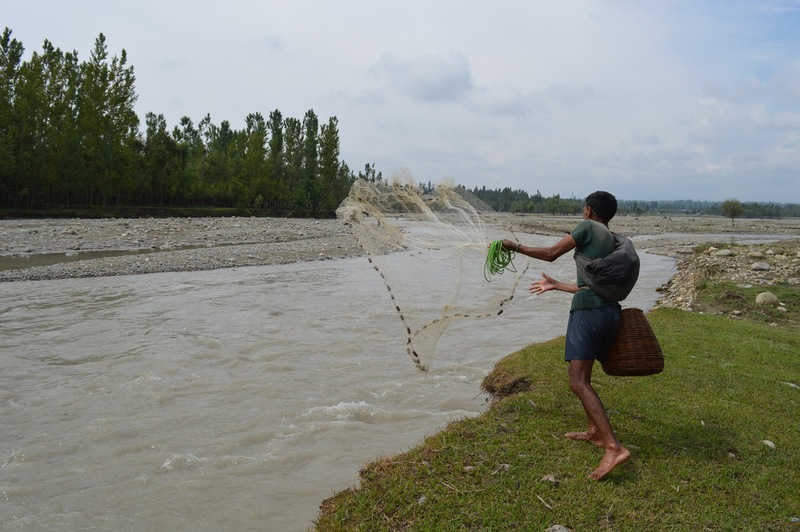 Home Business Cloudburst Featured Fishing Life Pulwama While you wait for next Cloudburst, let me catch a fish! While you wait for next Cloudburst, let me catch a fish! 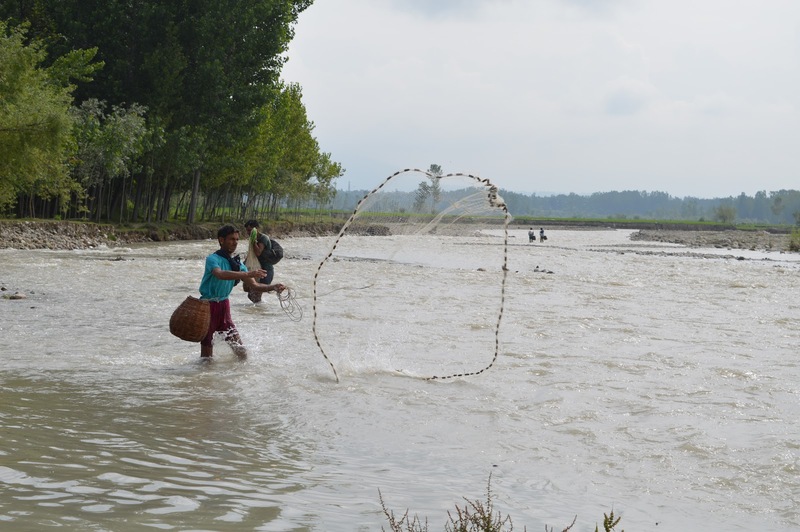 Pulwama: Due to bad weather and incessant rains, the people of Kashmir had to face various inconveniences. The things became more ugly when frequent cloudbursts worsened the situations for the valley people. Showkat Dar catches these stills when the storm of cloudbursts had taken a chill pill! "Contrary to popular belief, oftentimes the best time to catch fish is at night. During the day, fish are more likely to cling to sheltered areas to find relief from the heat of the sun. Fishing during the day allows us to take advantage of the fish's sense of sight", a local fisherman says.